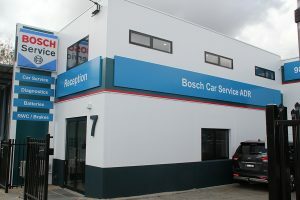 Bosch Car Service Ringwood is a VicRoads Licensed Vehicle Tester, which means we’re authorised to conduct the inspection required to provide you with a Roadworthy Certificate (RWC). You’ll need a RWC in Ringwood if you’re selling or re-registering a vehicle, as well as clearing a Vehicle Defect Notice (when required). Bosch Car Service Ringwood has been an industry leader in Eastern Melbourne for more than 20 years, providing reliable Roadworthy Certificates to customers across Ringwood and surrounding suburbs. RWC inspections are conducted to check that the key components of a vehicle are in a fit condition for safe road use. If you require a mechanical repair, service or a comprehensive vehicle check-up, please make a booking today. When you need to check that your car is roadworthy, Ringwood’s leading auto service centre, Bosch Car Service Ringwood has you covered. We also service the Mitcham, Vermont, Nunawading and Croydon areas, so call now on (03) 9879 4559 and book your inspection.